kt literary » Blog Archive » SOLD! Congratulations to Gerald Brandt! SOLD! Congratulations to Gerald Brandt! 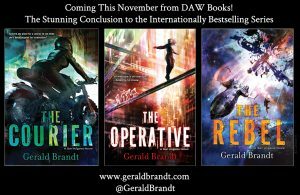 Congratulations to Gerald Brandt on the sale of his new science fiction trilogy to DAW Books! International bestselling author Gerald Brandt’s THREADER ORIGINS, Book One of the Quantum Empirica series, in which a young man is the victim of his father’s string theory experiment, to Sheila Gilbert at DAW Books, in a three-book deal, by Sara Megibow at kt literary. 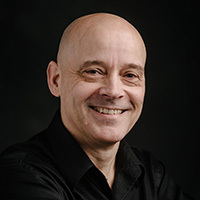 Gerald is the author of the cyberpunk San Angeles series that launched in 2016 with THE COURIER.